Is Your Clutter Preventing You From Losing Weight? As we enter the spring season and think about shedding a few pounds that crept up on us this winter, let’s consider how your clutter may be holding you back from losing that weight. What does clutter and weight have to do with each other? Maybe more than you think. Studies published in Chicago Wellness Magazine and Current Psychiatry Reports show there is a direct correlation between clutter and stress. Clutter can lead to health issues such as stress, weight gain, and other hazards that result from an unhealthy environment. Clutter can contribute to inability to take medications on a regular basis, eat well, and maintain a consistent exercise routine. Living in a cluttered environment can create subtle, consistent, low-grade stress. Some of the research suggests that your clutter will lead to weight gain, and prevent you from losing weight. I have been in plenty of homes where the kitchen counters are packed with stuff, leaving no room to prepare healthy foods. I have also noticed that the packed counters, loaded tables, jumbled and overstuffed pantries, and piles of mail stacked high in the kitchen causes anxiety which reduces the brain space to plan healthy meals. A loaded table prevents you from sitting down in a relaxed and conscious manner, eating a healthful meal. This all leads to a compelling reason to declutter your kitchen space, and set up an environment that supports your health and weight goals. Whether you decide to tackle this yourself or get some outside help, reducing your clutter is going to have an impact on your health and your weight goals. Here’s a link to a recent kitchen makeover. The “before” photo show a clutter kitchen that inhibits good decision making. The healthy fruit is hidden by all the other stuff. There is nowhere comfortable to sit and enjoy a well thought out meal or snack. 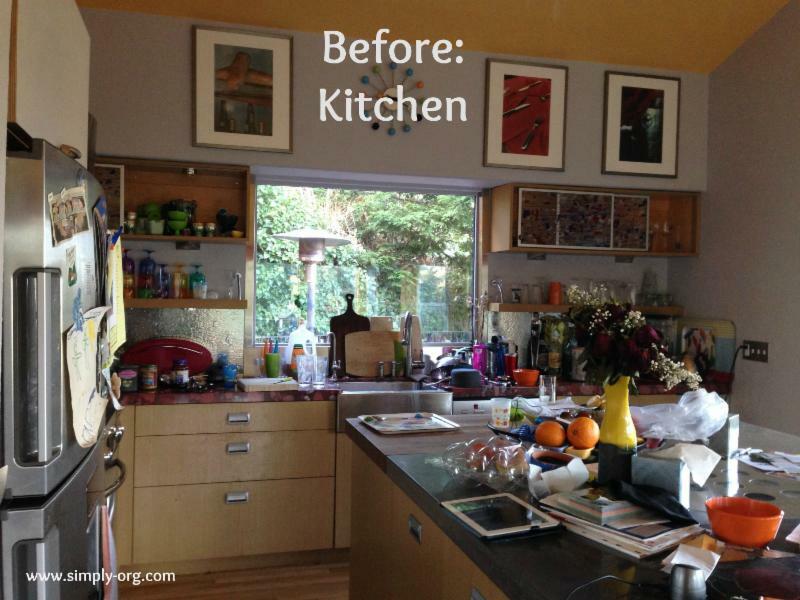 The after photos show how there is much more room to plan and make healthy meals. 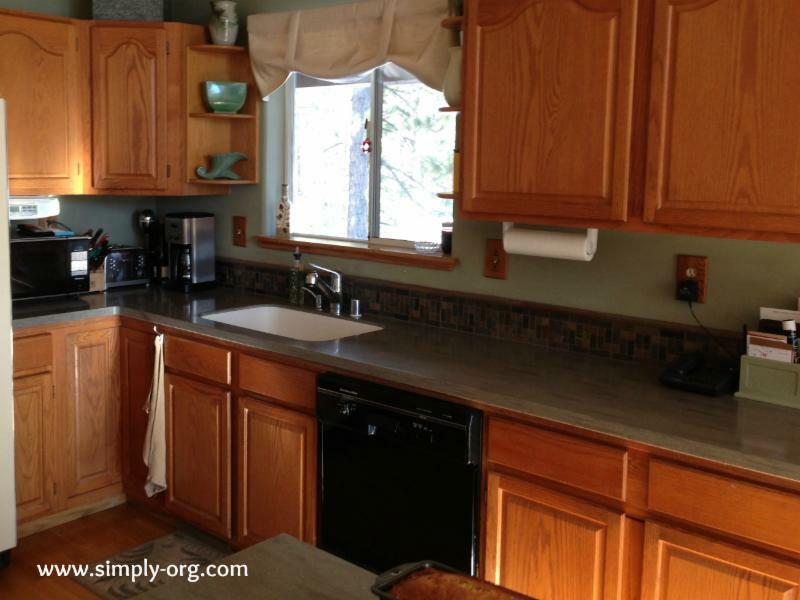 The decluttered cabinets let the owner find the tools she needs to prepare those meals. The cleared counters allow her and her family to sit in a welcoming space the enjoy the healthy foods. Click here for another kitchen makeover. This entry posted May 1, 2017 .